Hello! I can't believe that April is gone already and we're now into May. That is just crazy! Times flies so fast, it's scary to be quite frank! I thought I'll start doing favourites posts, however, I won't be doing them every single month, just when I know I really love the products and I have been using them a lot that particular month. To start off the April favourites, I will start with Fashion as I only have two pieces that I've been loving. I LOVE this watch, I have been wearing it nonstop and I find that it can go with any outfits that I pair it with. I really love the Rose Gold detail on the watch along with the black leather strap. I also have another smaller watch by The Horse, it is the classic and smaller version in a grey leather strap and a white face. I'm a massive fan of The Horse, I think it is a beautiful brand and hopefully, I can one day collect more! Correctly pronounced as 'Key', I purchased these sunglasses from The Ironic and I just thought they were so unique looking and I loved the fact it has marble details, which is a massive trend at the moment. It has a reflective silver lens and chunky frames. I like to wear these with a simple white shirt and a leather jacket for an "effortless" look. 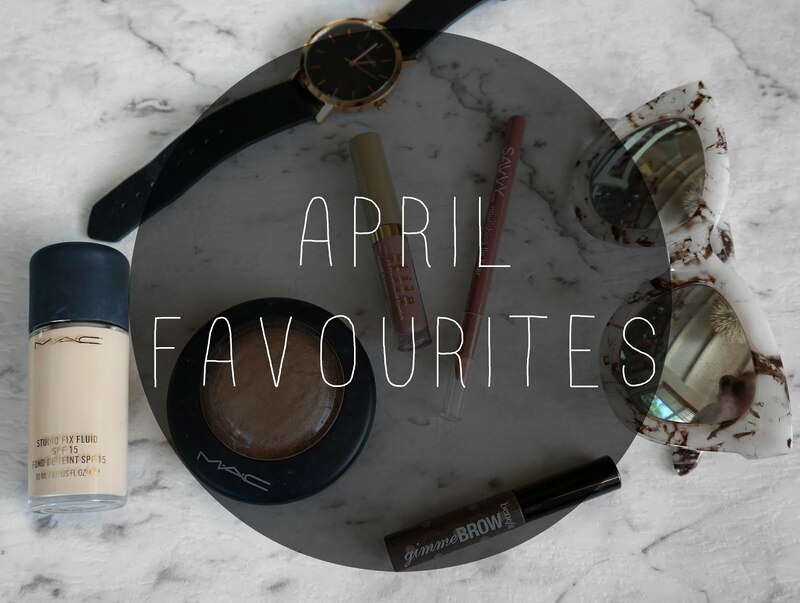 Moving onto Beauty, I have a couple of favourite makeup items that I have been obsessing over! As a freelance Makeup Artist, I have quite a few clients and models for photo shoots that love a good base, soft contour and glowy skin. To achieve glowy skin, I like to have a good selection of highlighters in my kit, this, is one of them! It is so velvety soft and luxurious and just looks lovely and luminous on the high points of your face (think across your cheekbones, cupid bow, above your eyebrows) for a glow! I really like how you can easily layer it up for an intense glow or just have a natural radiance. Just look at it! So pretty! As a girl with a pretty fair complexion, it is really hard to find a pale foundation that isn't too yellow or too pink. I have finally found the perfect foundation for me! With this, I don't need to blend ridiculously far down my neck, I have confident that it will match my neck which is awesome! The finish is a natural matte and the coverage has a medium to full coverage. I like to pair this with MAC Pro Long Wear concealer and Australis Fresh & Flawless powder in 'Light Beige' for a flawless base. It is seriously my favourite foundation I have come across so far! So pale girls, I highly recommend trying this! This is my second tube of the Gimme Brow gel. At first, I was a little hesitant buying it because of the cost factor and it was such a little tube for a hefty price. But I am here to reassure you that this tube can last you for MONTHS. It is the bomb diggity! The Gimme Brow has little fibers to give you a fuller looking brows. It can also tint your brows for those hurried mornings! You can see me wearing it in almost all of my selfies on Instagram, I wear it ALL the time. I have been wearing this combo like CRAZY. Even on my lazy makeup days, I'll wear this. Stila Stay All Day lipstick in 'Baci' is a very popular shade recently! It suits everyone from tan to pale skin. It is a lovely pink with a slight grey undertone. 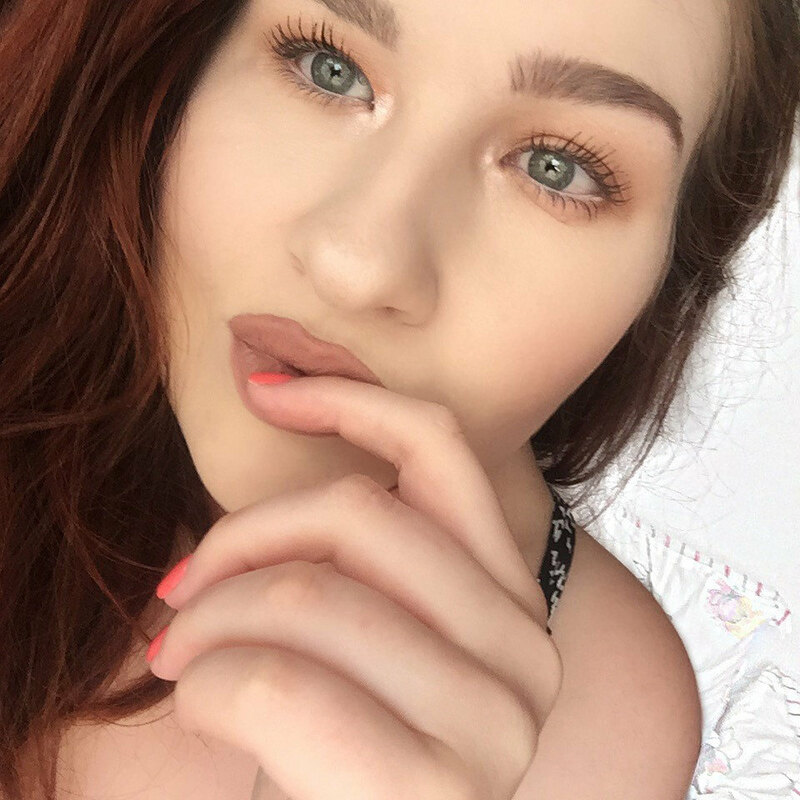 With the Savvy lip liner, it is extremely affordable and I really like the formula, it glides on smoothly and it has a great natural brownish pink colour to it. I sometimes wear the lip liner by itself even! Finally, but not least, the Tartelette In Bloom palette. I purchased this palette on my recent day trip to Sydney from Sephora, it was my first time visiting Sephora and I was in there for hours, just looking at every product and "oohing and ahhing". If you're a makeup frantic like me, you'll understand the feels that I felt on that day. I was having a hard time trying to choose between the original Tartelette palette which has all matte shades and the newly released In Bloom palette. I went with the In Bloom palette for its good selection of mattes and shimmer shades. I love my shimmers! I think the colours are pigmented and packs on well when applying with brushes or fingers. It has an almost soft and velvet texture to the shadows which I like a lot! I like to apply the shimmer shades with my fingers and use it as a corner highlight or just pat it on for an intense shine. The colours are very pretty and have warm tones throughout the palette! I'm a fan! Well, this concludes the post. I hope you enjoyed reading and discovering a few of my favourites of April, hopefully, I have inspired you to try out some of these products I mentioned. Till the next post, dolls! Best Natural Lip Balm Ever? !